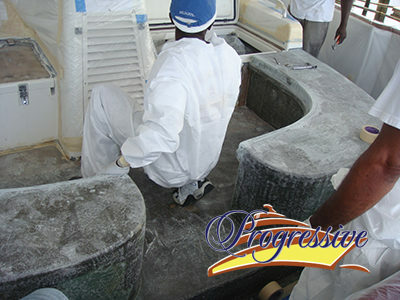 Few things are more disheartening to a boat owner than staring at the fuzzy edges of broken fiberglass. 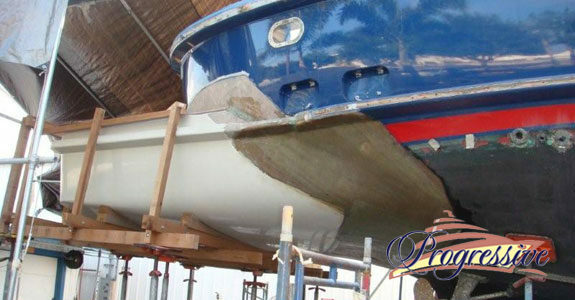 However, the reparability of fiberglass boats is one of their best characteristics. 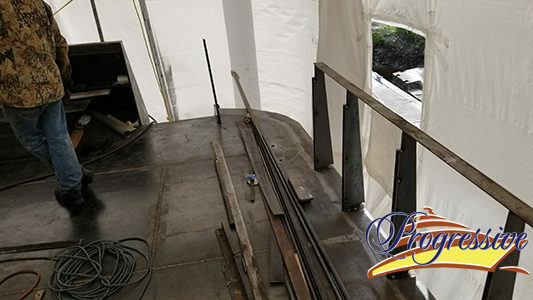 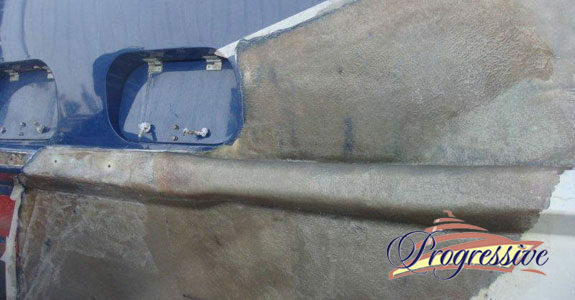 The most horrifying hole in a fiberglass hull is quickly healed with a bit of glass fabric, a supply of resin, and equal parts of skill and care. 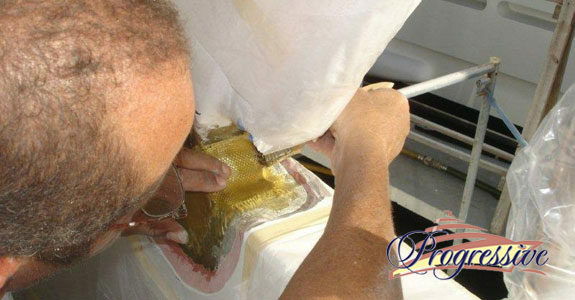 The repair is fewer in patches than grafting a new piece of skin and indistinguishable from the old. 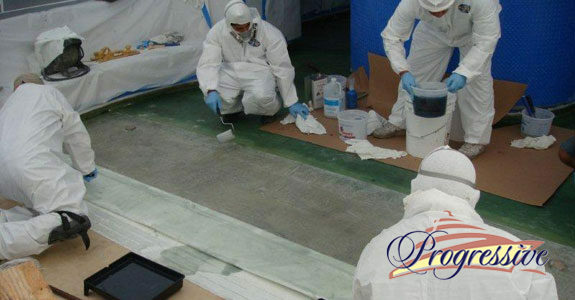 Fiberglass lay-up is nothing more than layers of glass fabric saturated with polyester (or epoxy) resin. 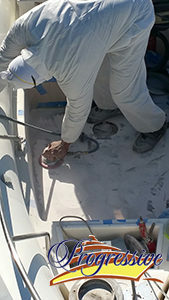 Following a few simple rules, your lay-up will be as durable as the rest of the boat. 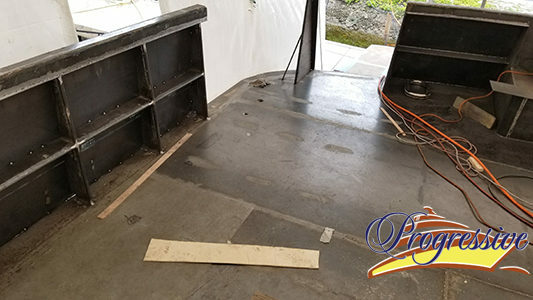 We start fiberglass repair by cutting away the damage and tapping the impacted area with the end of a plastic screwdriver handle to determine the extent of the damage. 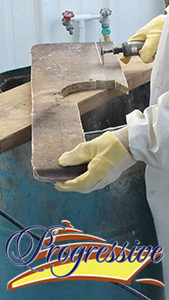 Solid laminate sounds sharp while de-lamination sounds dull. 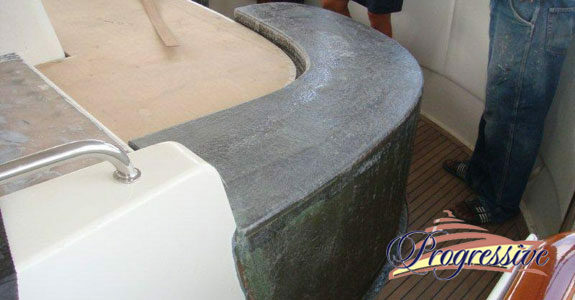 Next, we would check inside the boat to make sure nothing is in the way and then proceed by making a circular or oval cut to remove the damaged area. 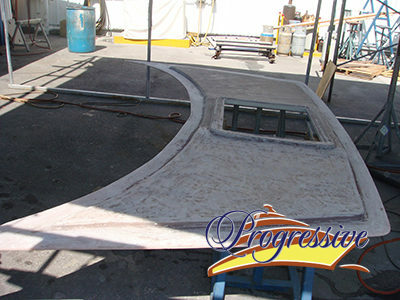 Our next step would be to grind damaged area, apply resin and mat until the area is filled. 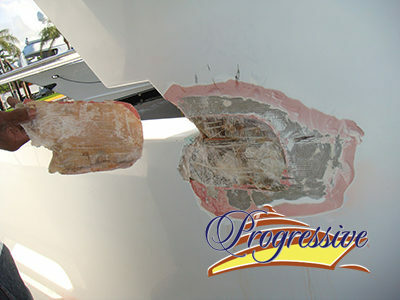 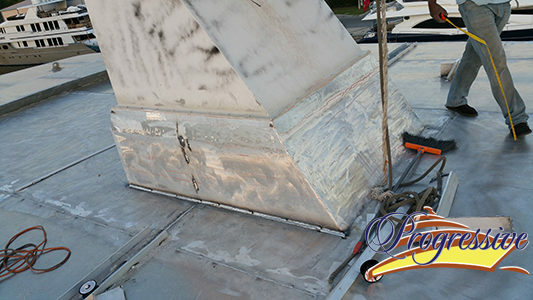 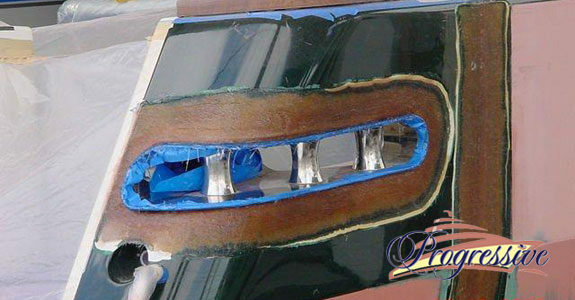 Get a marine fiberglass repair estimate here today.